Beyond growing flowers, I occasionally do indulge myself in growing veggies in a pot or two. Most of these veggies, yield just enough for a meal or two, after such a daunting task of working hard with them, since the beginning and waiting on for months, protecting the plants from the scorching summer, harsh sunlight, insect infestations, cold - chilling weather, but, it is always a treat, a sense of satisfaction, having veggies you grew yourself. It's always a treat, no matter how long you wait, even for that lone chilly plant to start blooming and start bearing those hot green chillies! 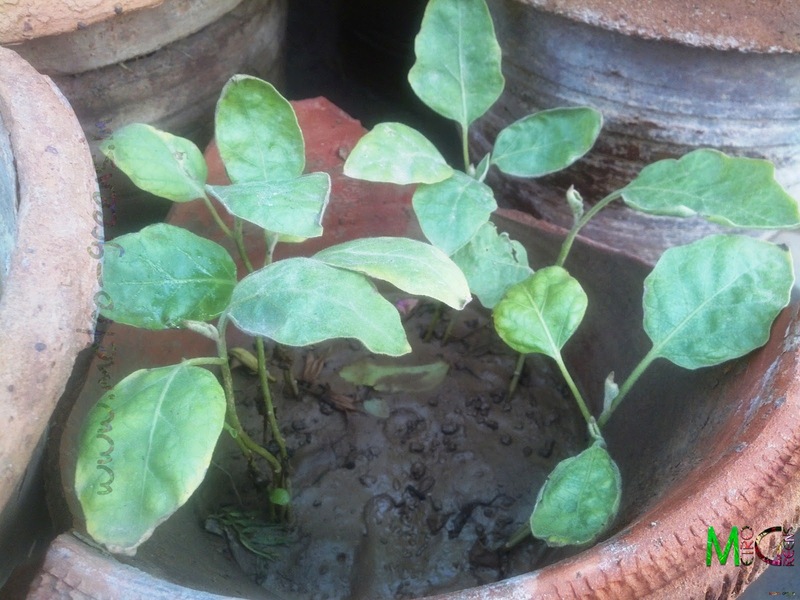 Just a few days back, I got some brinjal (egg plant) saplings from a nearby nursery. Actually, my mom have been asking me to get some for quite a while now. She asked for some last year too, but, I didn't, but, this time, I've got some. 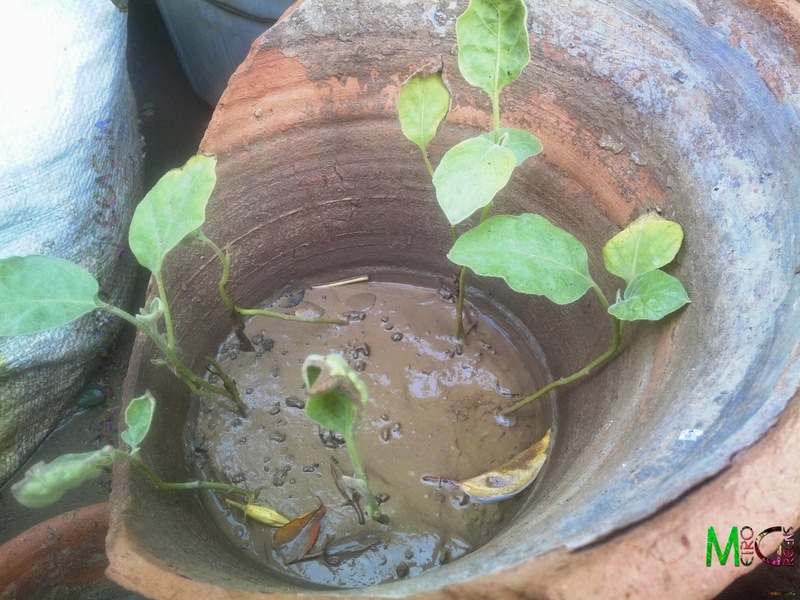 The saplings planted in a pot. So, I have arranged to plant the saplings in some pots, and waiting for the healthy ones to survive before I transplant them to the individual pots. The not-so-healthy ones will wither away. Can't do anything. It's the rule of the nature, very well explained by Charles Darwin's theory of - Natural Selection, popularly known as Survival of the Fittest (the term Survival of the Fittest was coined by Herbert Spencer, after reading Darwin's work - Principles of Biology; Darwin called it Natural Selection). I've got hold of some presumably - white lily bulbs. The man at the nursery claimed it to be white lily, so, I have to believe him unless I see it bloom. I'll take you to visit these in the next post. Till then, keep trying and HAPPY GARDENING!